It's the biggest trip the youth choir has embarked upon. As Shallaway Youth Choir celebrates its 25th anniversary this year, the choir's annual trip — this year, they're going to South Africa, leaving Wednesday — has a deep connection to the group's beginnings. 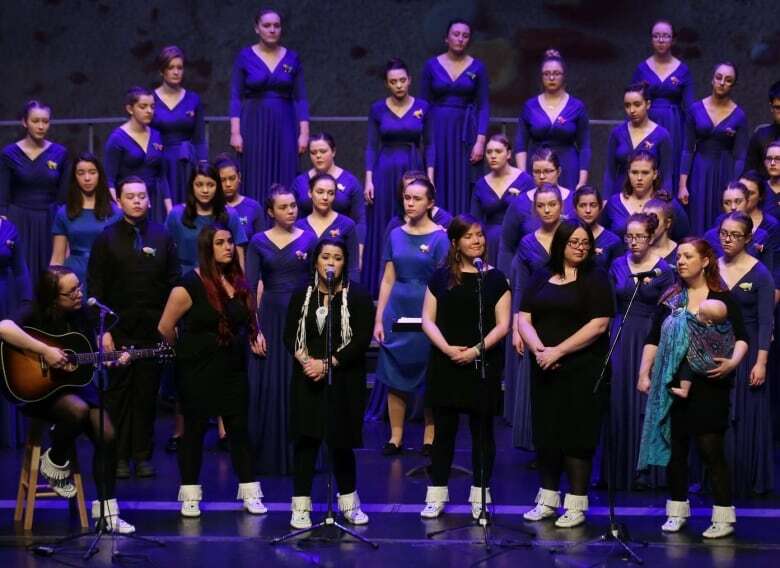 "Believe it or not, the very first concert celebrated [Nelson] Mandela," Shallaway artistic director Kellie Walsh told CBC's St. John's Morning Show. A quarter-century ago, the former political prisoner was working to dismantle South Africa's apartheid legacy and won the Nobel Peace Prize en route to becoming that country's first black head of state in an election the following year. "The kids learned African folk songs and freedom songs, and so to tie in that very first concert 25 years ago, and also the idea of culture and singing … there's no other place in the world where music and singing and dance is as part of life as in South Africa." Also, Walsh said, the ambitious trip is also intended to show the choir — and everyone — that if people work hard enough and support each other, there's nothing they can't do and nowhere they can't go. Nearly 100 singers, as well as faculty and friends, will be making the trip in a year that would have been Mandela's 100th birthday. He died in 2013. Singing — which they'll be doing in Johannesburg, Cape Town and Soweto — won't be the only thing the choir is doing. There's a safari planned, a visit to Mandela's former cell and to the Apartheid Museum, and a trip to a penguin colony. They'll also be visiting an orphanage for which the choristers have been collecting donations of materials and funds. "It's going to be a very different experience than what a lot of us have had, so it is likely going to be difficult, but it's going to be a great experience for everybody to see what it's like on the other side of the world and get a new vision of the world," said choir member Sarah Mole. Member Eli Quinn is most excited for the safari, a game drive, at Pilanesberg National Park. "I think that's going to be really cool," he said. "We're doing a night game drive and morning game drive."